When are Mini Dental Implants Recommended? Mini dental implants are relatively new to dentistry. But even so, they are providing great benefits to people who are in need of restoration or replacement. 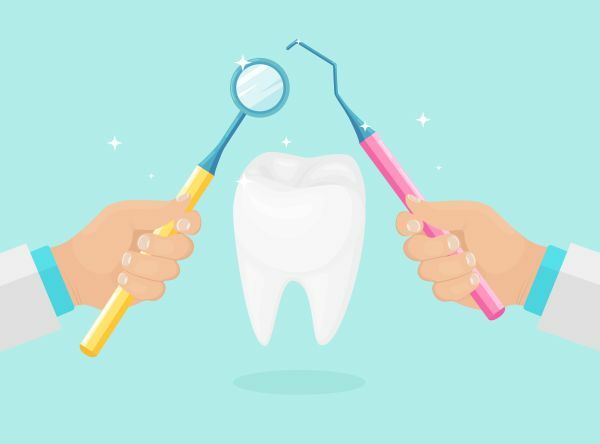 While they are similar to that of traditional dental implants, they do have a few key differences and one of those is their purpose. In this article, we outline when mini dental implants are recommended. Because everybody has different teeth, mini implants may be recommended in a variety of different scenarios. However, being aware of the most common scenarios can be helpful for someone who isn’t sure what they need. Read more below! Mini dental implants are often recommended to people whose jawbones aren’t dense enough to support full-on traditional implants. The jawbone has to be very strong and durable in order for traditional implants to be properly supported. In cases where the jawbone isn’t dense enough, mini dental implants are likely going to be the best option. Because they offer the same end result, it may be best to have mini implants placed. Also, because they are smaller all around, they don’t need as much of the jawbone to hold and support it. If a person is in need of a temporary fix, then they often times opt to get mini dental implants. Because they are so small in size, they can easily help someone achieve restoration or replacement temporarily. All without having to undergo the many months of waiting, as is the case with traditional dental implants. Sometimes people who are in need of implants are hoping for a quick turn around times. But that may not always be possible with traditional dental implants. Because mini implants don’t go as deep into the bone as traditional ones do, they are likely going to bond quicker with the bone. This means that the wait time for bonding and fusing won’t be as long and drawn out. That way eating and smiling confidently can be achieved much faster. When there are smaller teeth that need to be replaced or restored, they are likely going to be able to achieve this with mini dental implants. Because mini dental implants are so small in size, they are able to quickly help restore smaller teeth. Some smaller teeth may not be capable of having a traditional implant support them. But, with mini implants, that is not an issue. Mini dental implants are still rather new, but the benefits that they provide to people who aren't eligible for traditional implants can be rewarding. If you have questions about mini dental implants and when they are recommended, then reach out to our office so that we can help you further. Let our trained professionals answer your questions or address your concerns. Give us a call or stop by our office today! Request an appointment here: https://www.qualitygentledentalcare.com or call Roman Khodosh DDS PC at (973) 542-7597 for an appointment in our East Orange office. Check out what others are saying about our dental services on Yelp: The Difference Between Dental Implants and Mini Dental Implants. What Are the Warning Signs of Gum Disease? « What Is Teeth Bleaching? © 2019 Roman Khodosh DDS PC. All Rights Reserved. Roman Khodosh DDS PC has 5 out of 5 based on 23 Google, Yelp and Facebook Reviews. © Copyright 2019 Roman Khodosh DDS PC. All rights reserved.